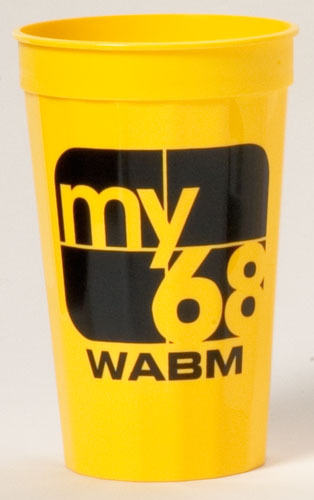 Imprinted reusable stadium cups make great promotional items for corporate events, parties, weddings, bat-mitzvahs, bar-mitzvahs, and get togethers. Recipients keep them and reuse the year round, constantly being reminded of the great time they had at the event. Schools and youth organzations use them as fund raisers at football, basketball and baseball games, or at any event. Restaurants, bars and nightclubs offer their customers free or discounted refills in their printed souvenir cups, and their customers keep coming back! Give your cups away at carnivals, festivals, sporting events, picnics, or anywhere people might drinking cool beverages. Our reusable lids and translucent straws and make your cup extra special. We have lots of colors and styles of reusable printed plastic cups available to make your next event or promotion a memorable one. Rush Orders: Standard production for one color screen printing is 2-10 business days. Complete purchase orders and a copy of the art must be received by noon central. Orders received after this time will be processed the next business day. Orders requesting 24 hour service will incur a rush fee of $30(v) or 10% of the net cup price, whichever is larger. Same day production is subject to availability and the rush fee is $60(v) or 20% of the net cup price, whichever is larger. Standard production for multi-color screen printing is 7-10 business days. Rush service is not available for multi-color screen printing.